We have another New product that mentions birthdays, and it is still not my birthday, but I bought them anyway. The last one was an ice cream and here we have Oreo biscuits. Technically these are “Birthday Party” edition Oreos, and not Birthday cake variety which seems to be on trend at the minute. I’m not sure what a birthday party should taste of; not just cake but balloons, party poppers and a magician? 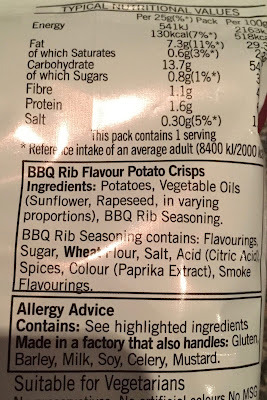 Not sure how you’d represent all of that as flavour. I took a look at the packet, apparently it is cake sprinkles and caramel, I guess that works too. 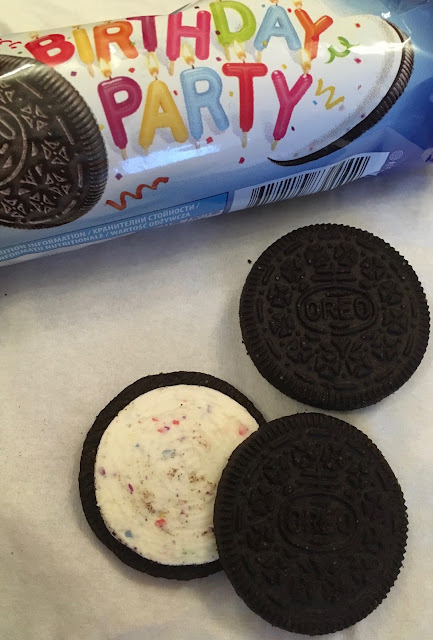 I say it works but the birthday sprinkles are a bit hidden, particularly if you don’t twist and split each Oreo like me. I did though on these biscuits just to have a look. When I was doing this I also spotted the heavy scent of sugary caramel, and the Oreos did make me smile. The flavour was like an intense Oreo. The biscuit part are the normal Oreo sides but the filling is very sweet and absolutely delightful. I loved the sugary boost, and the rich tones of caramel. The visual of the candy sprinkles was lost on me, but flavour wise this made no difference. I am not keen on these products with birthday in the title as it does make me feel a little awkward buying them when there is no birthday to celebrate. I will put that aside for these biscuits though, as it would be a crime not to buy Oreo Birthday Party edition biscuits again. We like finding odd and quirky flavours for our favourites - and here we have the classic Pepero (Pocky but Korean and a little more chocolate like) but with basically a Yakult style friendly yogurt drink on the outside - intriguing! And it's packaged a little more premium than you'd expect due to the speciality range it's in. I wasn't sure whether to expect the Yakult style flavour or the live yogurt tang, but instead it's more of a sweet, white chocolate fondant style taste. It's really thick and compelling. I ate three when I intended to just try one. They are quite short in fairness. A hit - not an everyday one - but one where I'll probably eat them all and not share. Our BBC 1 appearance has clearly caused the market to crash on Thin biscuits as they are now half price in the Co-Op! I had to pick up the double choc versions for that price. Still, a lovely bourbon biscuit - and it's going no-where near my tea. A well known search engine tells me that a Honker is a wild goose or a person or thing that honks. It kind of makes me wonder who or what would win in a honking match, the wild goose or person or random honking thing. A person honking at the same time as using one of those honking horns on a nineteen twenties vintage car may blow the poor crazy goose away, but hey you could even it up and give the honking mad goose a horn to jump up and down on and maybe the person wouldn't stand a chance… I guess we'll never know! 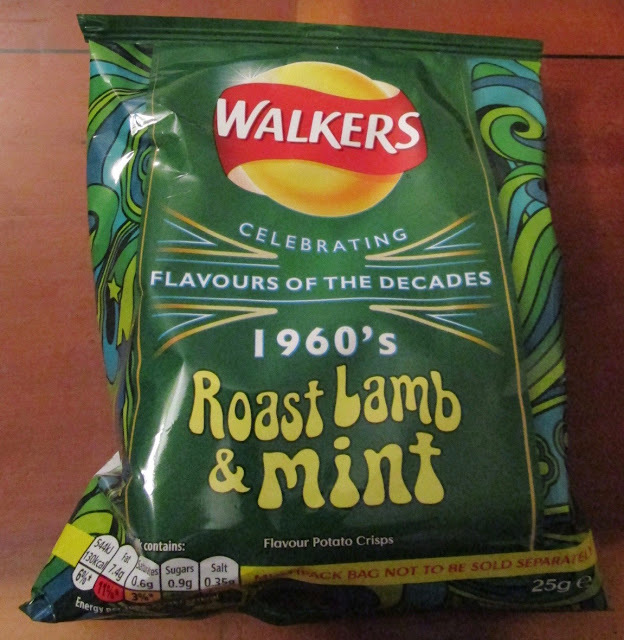 Basically Walkers have introduced a favourite flavour from each decade dating back to the 1950s. This range is called Flavours of the Decades. They are celebrating 70 years of crisps, and as a favourite brand we are more than happy to work our way through these new, well old, varieties. This particular bag of crisps represents the 1960s, and although I wasn’t born then we have tried these crisps before. They have been previously re-released, one example is as part of a similar project from Walkers Bring Me Back in 2015. Spectre tried them then and really enjoyed them, so I was pleased to get my hands on this bag. 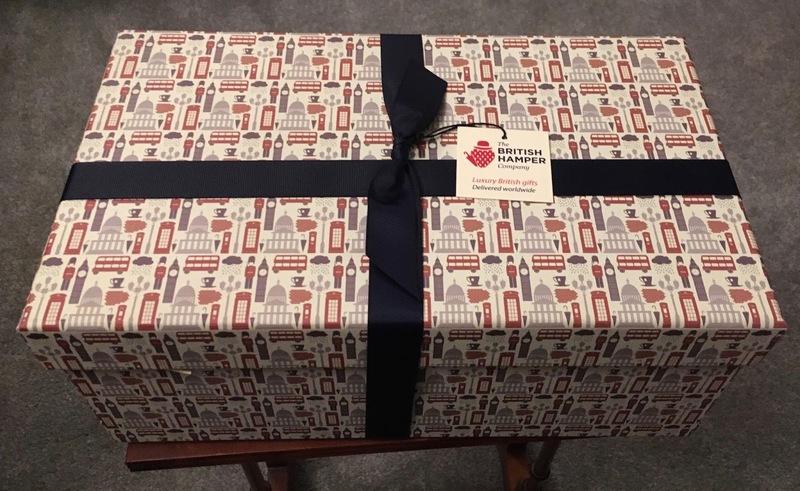 Although a retro flavour the bag is a bit more up to date and neatly decorated with a sixties pattern that would look fitting on a vintage dress, it has kept its green colour though which is part of the original theme. 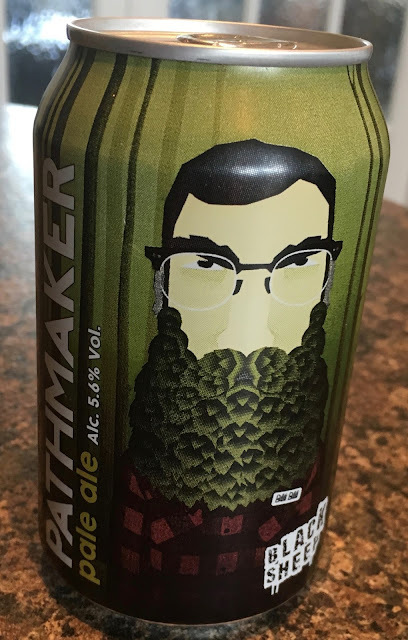 I have to say I was impressed by the flavour. 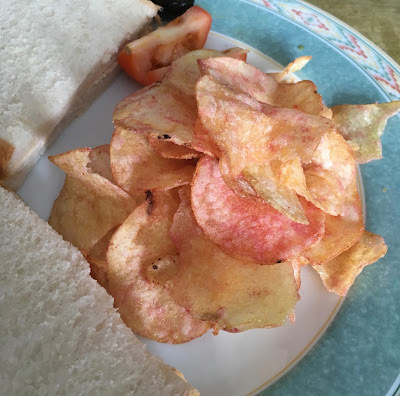 I love meaty crisps, but usually find myself drawn to chicken crisps. These though are so distinctly lamb, they are meaty and juicy and just hit the spot. The mint flavour is a milder blend, but certainly present and add a lovely tang at the end of the flavour. These crisps were making me crave a Sunday dinner, so they are certainly doing something right. I have to say to Walkers I totally understand why they keep re-releasing this flavour as they are seriously tasty. Perhaps Walkers should just bite the bullet and bring them back for sale permanently and just stop teasing us! Today - something unusual happened - the long awaited release of one of the great cinematic treats of our age! No - not some superhero thing, but us on TV eating biscuits! The below will contain spoilers - so watch it here first! 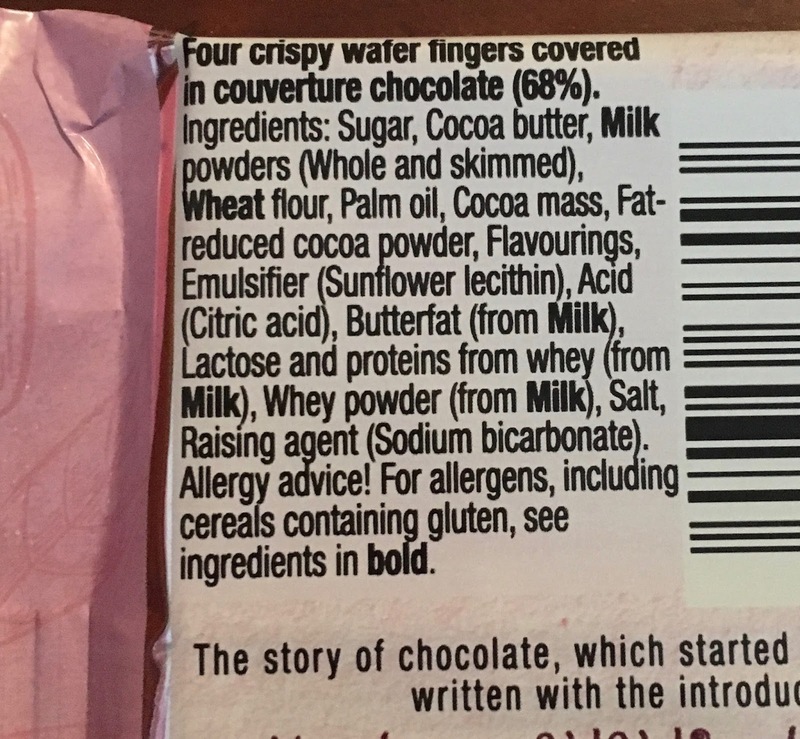 It's a fairly obvious premise - Thin biscuits are a new trend so they cost more, you get less in a pack so they aren't great value for money - Cinabar wrote about this some time ago - the BBC spotted it and got in touch and so we were on the telly! There were a couple of odd things that went on that day though - firstly the venue was a house that Cinabar & Spectre had only moved into two days previously so was all a bit of a rush. I was recovering from the Flu so a little bit dazed and confused generally. Also the BBC brought all the biscuits and really wanted to dunk them. Here is me dunking a chocolate covered Freddo which is also madness in my world - as evidenced by me on the TV commenting that I wouldn't dunk chocolate biscuits. Cinabar would - but she's been wrong before. I'm on the left. Note that my biscuits were all snapped in half to mimic the rich tea finger - the correct dunking biscuit. Did we get to compare to those? Nope - chocolate covered (Cinabar dunks these) and cookies (crazy people dunk these) and Oreos (sane children dunk these in milk, tea - less so). Oreos should be split in two and dunked as separate halves. We discussed this at length in the filming but you film a lot more than you use. I think the main problem with not bringing rich tea fingers to test is that they are the default M&S dunking biscuit. And they are also a Thin. Sure - they don't carry the trendy branding, but they have the same altered density of the Thin compared to the round Rich Tea biscuit so don't suffer from dunker's droop as much. The Freddo above is also a Thin without the branding - a chocolate covered one at that! Personally I think that the extra money involved in the packaging and branding of thins in their nice boxes compared to the cellophane wrapped regular biscuits accounts for a lot of the cost, and turns them from a snack into an experience. I don't think this meshed with the message of the piece (or Cinabar's original article) so wasn't left in. We only had around 3 mins TV time after all! As you'd expect we had lighting and cameras and people doing all the technical stuff too - the amount of time taken to do all the packshots was unreal, but at least Cinabar's kitchen tiles are now famous too. And here's the full gang - Me (NLi10), Angela (who doesn't have an Xbox), Lis (Cinabar) and Justin (Spectre) - who was cruelly left out of the broadcast (which I think made him quite happy). Angela was a delight to spend time with, and the group chatted more about the NHS's impending anniversary than biscuits, mostly while doing extra dunk shots and making sure the sound was good on the reviews we gave. I can forgive all of the odd biscuit choices (I'd have probably dunked my phone in the tea and reviewed it out of ten if Angela had asked me to), and the general silliness of the whole day (and it did take all day) because it was just so much fun. I think the people of Twitter understood that it wasn't meant to be taken entirely seriously although I think some people thought this was a full time thing and the BBC were paying us (side-ways laughing emoji). And now we know what to expect if we ever get invited back to do something similar again! Just to let you all know if you watch Rip Off Britain today 9.15am (or tomorrow (27 April 2018) BBC2 7.15am Foodstuff Finds has a cameo helping to judge biscuits. Hope you enjoy. You can click Biscuits on the menu above for all our reviews on the subject! 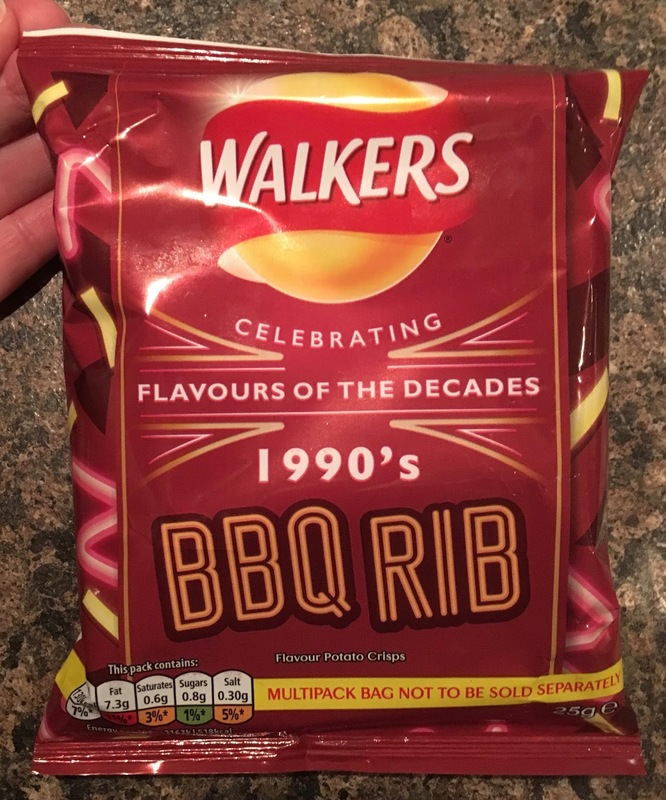 As part of Walkers ‘Celebrating Flavours of the Decades’ editions this BBQ Rib harkens back to a favourite decade of mine, the 1990s, where art college had just come to an end and nightclubs, dad dancing, and attempting (but mostly failing) to pull women were top of the agenda. BBQ Rib is still one of my favourite pub meals, next to a juicy beef steak or gammon steak (with the ‘compulsory’ pineapple rings and fried eggs), or the usually humongous and ubiquitous mixed grill. I have eaten a few brands of BBQ Ribs flavoured crisps in the past, so how does Walkers offering hold up? On opening the packet there was a smokiness as well as delicious smelling sticky barbeque sauce aroma. So first taste… Oh these are good! That can be seen from my jigging up and down in an open plan office with steam coming out of my ears from sheer irritation when I dropped my second crisp whilst typing this blog! The smoke flavour shines through dominating much of the flavour with a sweet and sticky barbeque sauce flavour washing over the pork rib taste throughout and into a mouth-watering aftertaste. These crisps are totally moreish… I need more packets… and or bigger packets please. Golly! Walkers have excelled themselves with this offering. Bravo! The 25g packet has 130 calories, with 7.3g of fat, 0.8g of sugar and 0.30g of salt. 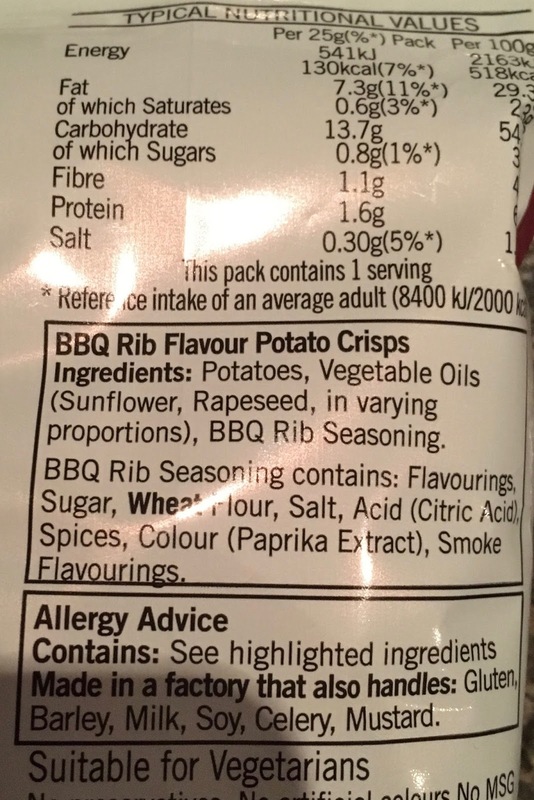 These crisps are suitable for Vegetarians. See photograph for ingredients. 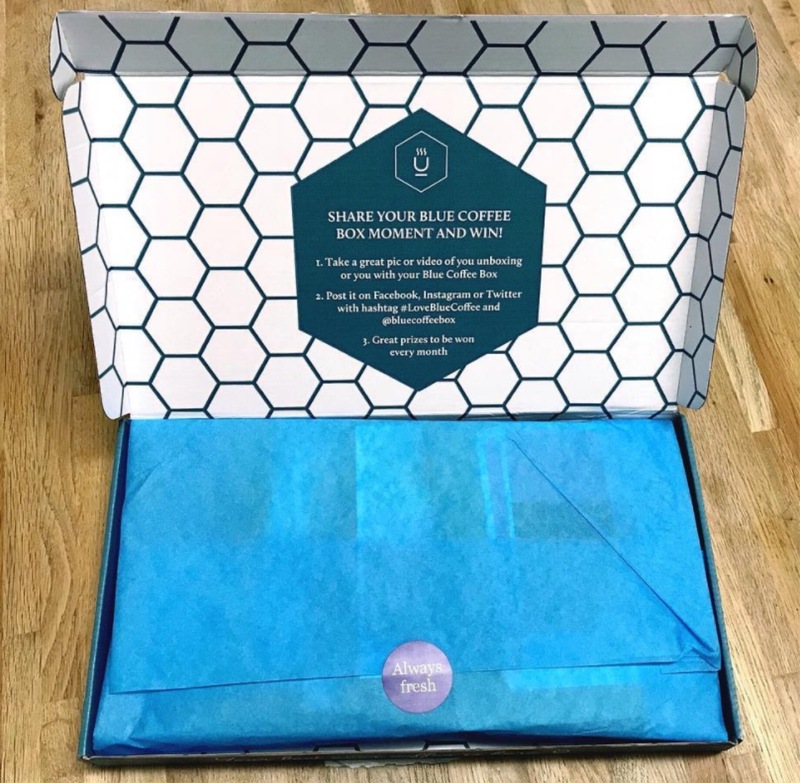 The Blue Coffee Box is a coffee subscription club with a mission to bring speciality coffees from around the world to your door. In their own words they are a “gourmet” service and “You've never tasted coffee this good”. Their coffees are sourced from regions you don’t typically find in your supermarket aisle, with the farmers being paid above the Fairtrade price for their products. In summary, they live up to their acronym BLUE: Best of the best, Luxury, Unique and Ethical. With all these claims and such an obvious passion for coffee, how could I say no to reviewing their beans!?! The Blue Coffee box arrived in the post, the presentation is absolutely beautiful and if you take a picture of the box and display it on social media, they even enter you into a competition. Does the FoodStuff Finds blog count? I think it must. The first bean to try is from El Salvador, Finca Las Nubes, and the coffee roasters are Campbell and Syme. Into my home bean-to-cup machine the light brown bean goes and a few moments later out pours the espresso. It produces a really good crema and the drink has a woody aroma. The taste is zingy full of berries that hit the sides of your tongue. This has a wonderful long-lasting flavour that will wake you up, it’s electric and alive, and even though it’s a mild roast it has some zesty strong kick to it! This espresso made me smile and my tongue buzz. Onto the next bean, from Peru, San Ignacio, roasted by the Cast Iron Coffee Roasters. Another light brown bean that produced a moderate crema with a sweet mild aroma. I found that this expresso lingered beautifully, and had a very mild soft flavour. This is quite different to the El Salvador expresso; this is an anytime of day espresso. Last but not least, from Nicaragua, Calixto and roasted by Campbell and Syme. Again, a light brown bean that generated an espresso with a thin crema and mild aroma. This was my favourite of the three beans I tried; it was fruity, full of treacle and the espresso sticks to your tongue. The flavour is wonderful, a velvety anytime espresso. Could you send me some more please! All Blue Box Coffees score above 80 on the Specialty Coffee Association system, which officially makes them “speciality” coffees, and I can confirm that the recognised UCA marking scheme agrees, they are indeed special. That’s an official Uxorious Coffee Assessment thumbs up! The whole Foodstuff Finds blog is dedicated to new taste experiences, we love to write about things we have never tried before, that was sort of the idea for the whole blog. 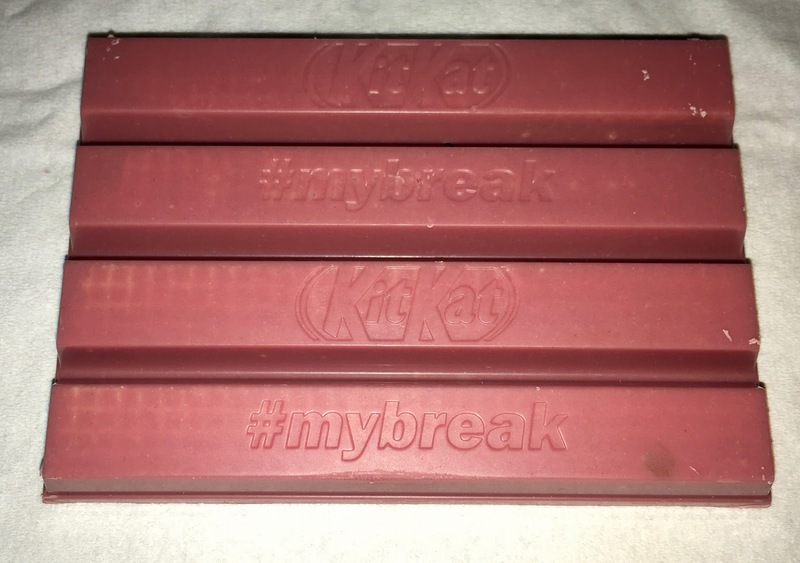 This new Kit Kat really does meet that condition, it isn’t a new flavour of Kit Kat it is a whole new chocolate experience. 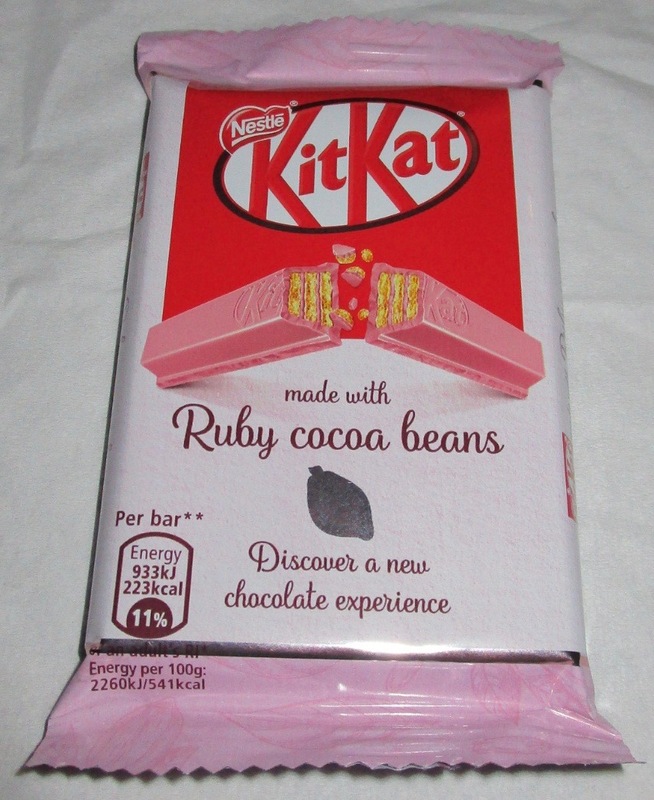 This bar is made with “botanical cocoa” aka Ruby Cocoa Beans, and is said to be a new addition to the usual milk, white and dark options, we now have Ruby chocolate. Now I have obviously tried to do a bit of research on this this, but it is quite difficult to find exactly what this means. The chocolate is made with Ruby Cocoa beans, it is naturally red and has no colouring added to it. The methodology for production seems to have a patent pending, but there are rumours it is to do with the fermentation process too. Whatever the method I was very keen to try the bar. 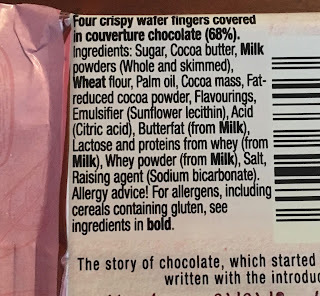 At the minute at least this Kit Kat Ruby Cocoa Beans is an exclusive to Tesco, and living in Wolverhampton this makes things a little difficult. I think it might be the only city without a large branch of Tescos, so I was very much hoping that the Tesco Express near us might just have them. I went in and looked around but couldn’t see any, so I asked. 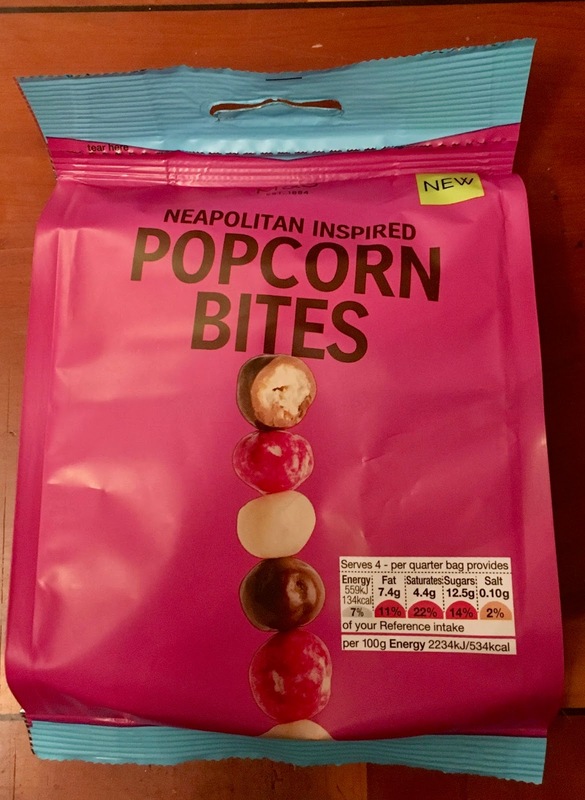 I spoke to a very excitable lady who was totally hooked on them, a little hyper, and kept going on about how it tasted like nothing she had ever tasted before. This very much got my hopes up, she must see tons of new chocolate bars working there, but this had clearly impressed her! So I bought my bars, got home and unwrapped one. They really are bright pink, but this isn’t from any food colourings. The aroma from the chocolate isn’t that different, it smelt a little like white chocolate with hint of raspberry, bizarrely enough. 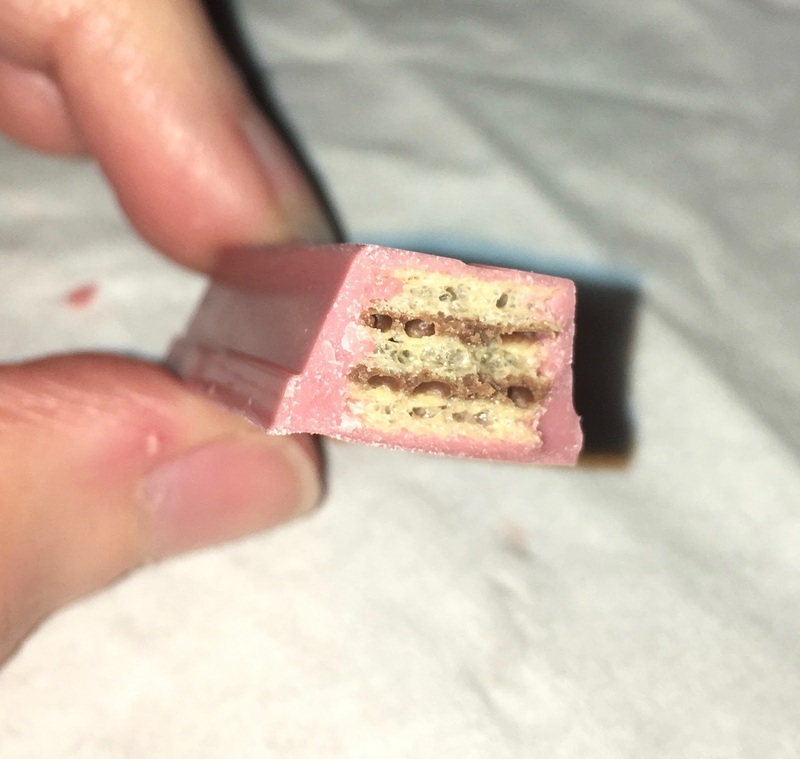 I took a bite, the first thing to note is that there isn’t anything really new in the texture. The chocolate feels a little glossy, but melts with body temperature in the mouth the same as other chocolates. The taste however is very new. It is both sweet and sour, creamy yet acidic. I suppose the best way to describe would be to say that it pretends to be a white chocolate infused with a sharp berry taste, but that that this berry flavour never quite develops into a distinct fruit flavour, it teases you then mellow and becomes closer to a white chocolate flavour. 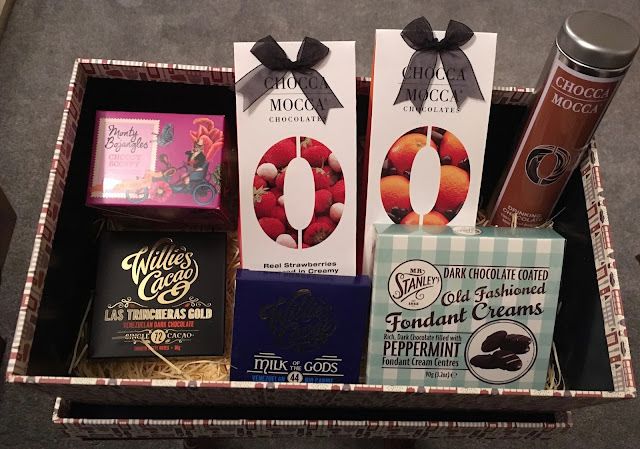 It is moreish and different, and does add something truly new to the chocolate world. I can’t wait to see how this new chocolate develops, and what other goodies will be coming our way with it. In the meantime, I agree with the lady in Tescos, and I’m off to buy more. My partner popped into M&S after work one day and attempted to pick up the meal deal. Unfortunately the baguettes that were included were cheesy and not ones I'd have enjoyed so we paid meal deal price and then bought an extra baguette on top! With this the pasta has to be the main draw, an it looks of a decent quality and well filled. And it inflates and cooks really nicely! I'm wasn't sure why was called Girasoli, maybe it's to do with the veggie insides or maybe the round shape. I'm sure I've had round ravioli before though. Turns out it's Italian for Sunflower so I guess it's a combination of all of the things. And here we have a decent meal! As you can see the pesto is prety luxurious too (and veggie) with lumps and pine seeds and lots of lovely texture. And that went far enough that we had it with a bolognaise later in the week too which was really good. The garlic bread was fairly standard, but I'm sure the included one was more of a luxury thing. I guess we should have taken that anyway and had one each! The pasta was great and had cooked perfectly. The outers were firm but tore easily, and the contents were delicately flavoured and again were not just a paste of ingredients. Not quite up to the Rana flavour sensation (I got my promotional refund for those this week! ), but as a full meal certainly more than acceptable. Now to try all the other flavours! … it does say on the back of the label "pour over ice and garnish with lemon for the perfect serve", which didn't sound very terrifying. So I began to relax a little whilst opening the 4% volume ginger beer's bottle. There was already an unsubtle citrus lemon aroma mixed in with the ginger spice. In fact it was quite strong and stopped the ginger smell dead in its tracks from tickling my nose hairs like some other ginger beers have in the past. Smells to me like the Ginger Grizzly is all out of puff. Although I must say that the sheer fizz on pouring this drink sounded like the low growling of a distant bear amongst some dark wooded trees. Maybe the bear had stopped for a back scratch on a tree trunk? More like from the taste of this drink that the bear had been waiting to pounce all along from the shadows. There is certainly a mouth burning hotness to this ginger beer. The citrus lemon smell lulled me into the bear's waiting claws as my tastebuds were buffeted by instant waves of spicy burning ginger. The lemon zest certainly takes a back burner showing its fairer hand into the aftertaste, but when the Ginger Grizzy bear has got a hold of you, it's hard to shake his fiery temper! If one food substance could sum up the 1970's it would probably be the cheese fondue. Yes this was the coolest thing for any dinner party in that era, when a bowl of molten cheese would be served up with crispy bread on sticks to dip in. Sadly I’ve never tried a cheese fondue, but I am waiting for them to come back into fashion. 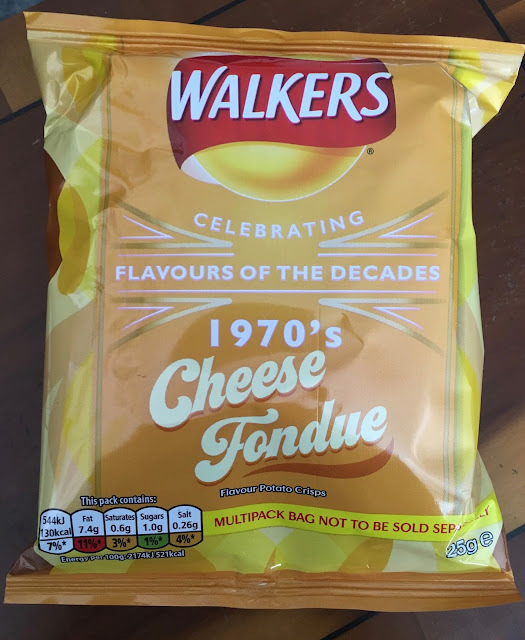 Walkers have chosen Cheese Fondue flavour to represent the Seventies era in their new range of crisps; Flavours of the Decades. Anyway cheese fondue is essentially just melted cheese which makes this flavour a nicely dressed up version of cheese crisps. The taste is pretty strong on the cheese and they have a nice depth of flavour. They were not too musty, and these cheese was well defined. The cheese itself is quite difficult to specify, but I think it might be a strong cheddar. It is that kind of taste. 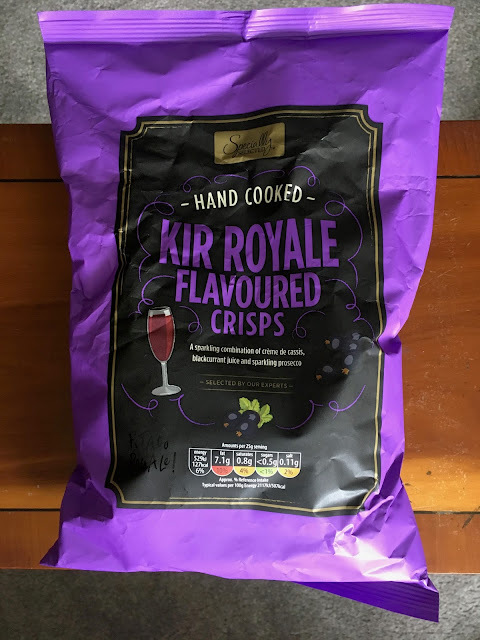 Cheese crisps aren't my first choice but these were tasty and very enjoyable, of all the flavours that have been released in the Flavours of The Decades range they aren't the most creative but they are a nice addition to the new multipacks. I might have a look on eBay, and see if i can find a proper cheese fondue set! I got an e-mail informing me that National Tea Day is the 21st April (Saturday) nd asking if I'd like to try something from the English Tea Shop. The pictures in my head were of English Breakfast, and Earl Grey and frankly everyday is Tea day in my world so I said yes. What I actually got was this. White Tea, Coconut and Passion Fruit is not what I was expecting. White tea is still from the same plant (all tea is) but it's usually used to indicate juvenile or under-processed varieties so I worried how this would work with the strong smells I could detect coming from the still sealed box. You get 20 lovely individually packaged tea bags (which is great when you find out you don't like it as they are easy to give away) and they tell you what is in them which is a bonus. There are certainly a blend of ingredients with lemongrass being the biggest surprise as it's 2nd on the list but not listed in the variety. And seeing as today was (bizarrely) the hottest April day in the UK for 70 years I decided to see how it worked as an iced tea. The answer - surprisingly well! It doesn't have the natural sweetness that it needs to really shine, but with a little fruit (or sugar) and maybe a dash of spirits this would make a fantastic outdoors drink when the real summer gets here. It was only after all this that I realised we'd got a barely tried box of pyramids of English Tea Shop teas for Christmas (we've managed one so far!) so now I have a great excuse to try those and report back too! There was a slight anticlimax on finding the inner ring pull cap followed by a slight temptation to put the carton back in the fridge for another day. Temptation over and deadline for this blog encroaching, I pulled the ring. Warning here! The contents of this carton literally fill the carton, which means pull the ring carefully. A certain amount of sticky white Brown Rice Drink over my laptop screen will attest to that. The Brown Rice Drink just looked like milk to me. It tasted somewhere in between rice, milk and water, but was refreshing. From the ingredients, calories and fat content, it's pretty healthy too. It would probably go well in a coffee if you can't use milk for dietary reasons, maybe even tea, but I'd recommend a strong black leaf tea, such as Assam or Ceylon, and or one of the smoky varieties, such as Darjeeling or Keemun. 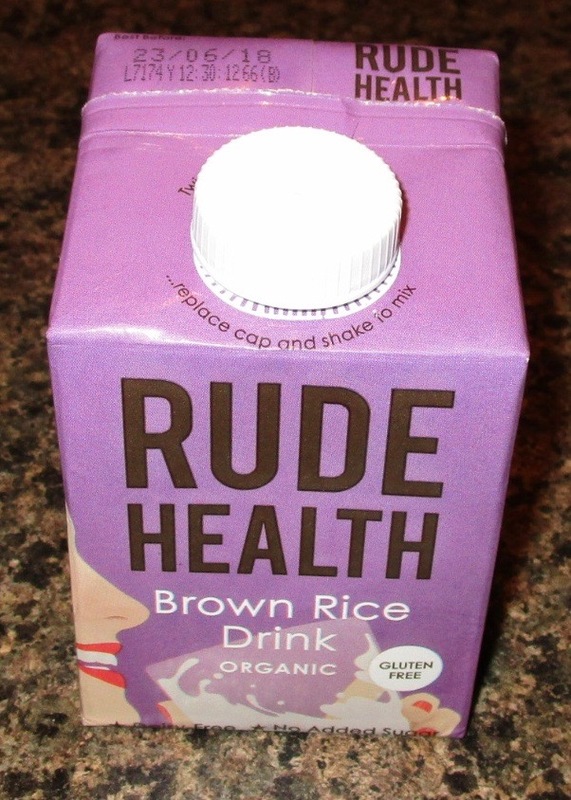 As refreshing and healthy drinks go; I'm not sure this would be my first choice, but it certainly wouldn't be my last. The 500ml carton contains 60 calories per 100ml, with 1.4g of fat, 4.8g of sugar and 0.1g of salt. Ingredients are gluten and dairy free, with no added sugar, and included; natural spring water, organic brown rice (17%), organic cold-pressed sunflower oil, and sea salt.